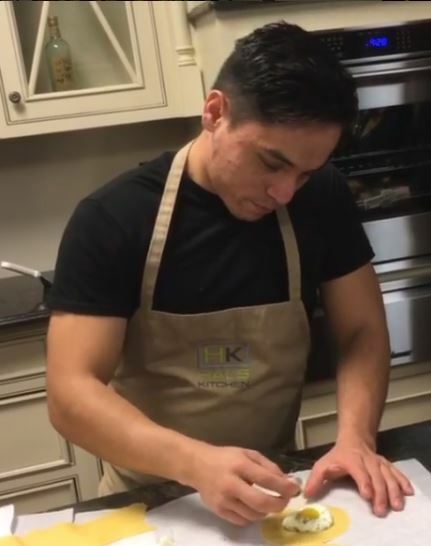 Yes, Chef! 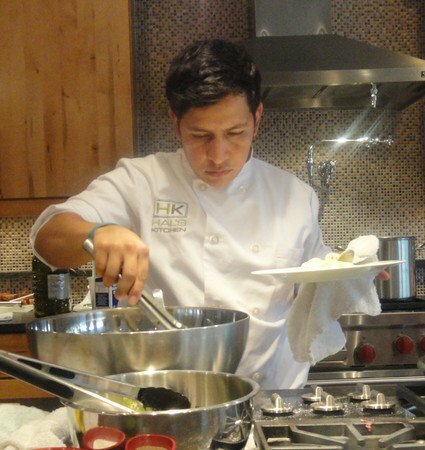 Culinary Events Cooking School… a little bit of food magic Yes, Chef! Culinary Events Cooking School... a little bit of food magic - Yes, Chef! Culinary Events - Atlanta Cooking Classes, Team Building and Culinary Private Events: Inspiring people and imaginations through the kitchen. 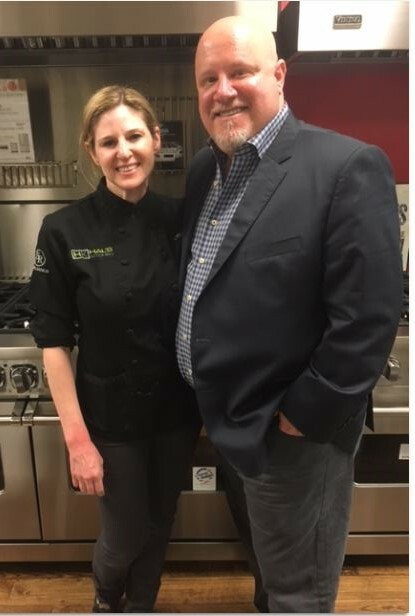 When Culinary Local offered the opportunity to attend a Valentine’s Day cooking class, as part of its Ambassador Program, I was the first to raise my hand. 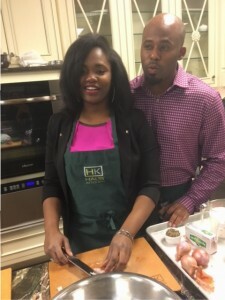 Hal’s Kitchen is a cooking school in Brookhaven a city that borders north of Atlanta. That’s not quite right. 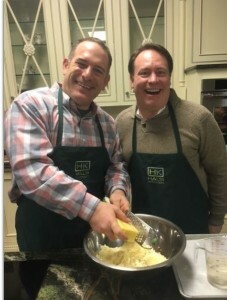 Hal’s Kitchen also offers corporate team building classes. That’s still not quite right. 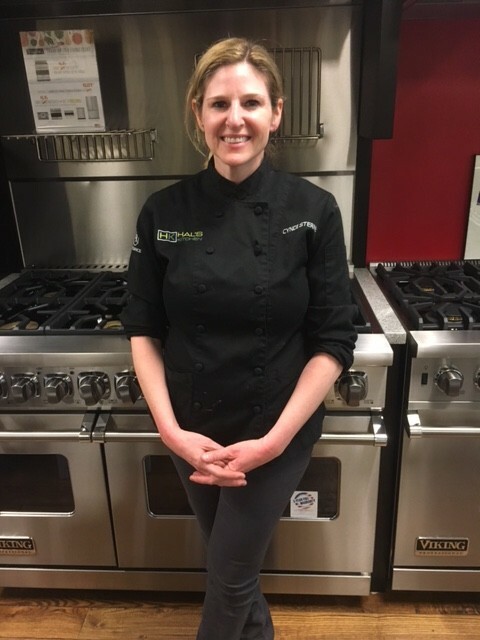 What’s missing in my description is — it’s Cyndi’s warmth, caring and enthusiasm that makes Hal’s Kitchen a magical and special experience. 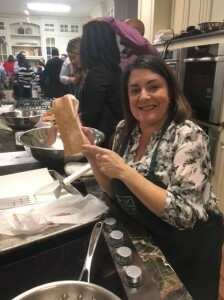 If cooking classes are meant to have fun while you learn a new skill or two, Cyndi and her staff exceeded expectations. Cyndi graciously welcomed each and every guest. With a glass of wine in hand and nibbling on some light appetizers strangers soon became friends. Cyndi’s fiancé was even on hand to lend a hand and play host. In anticipation of taking an active role in preparing the meal, Cyndi demonstrated a few knife safety techniques. 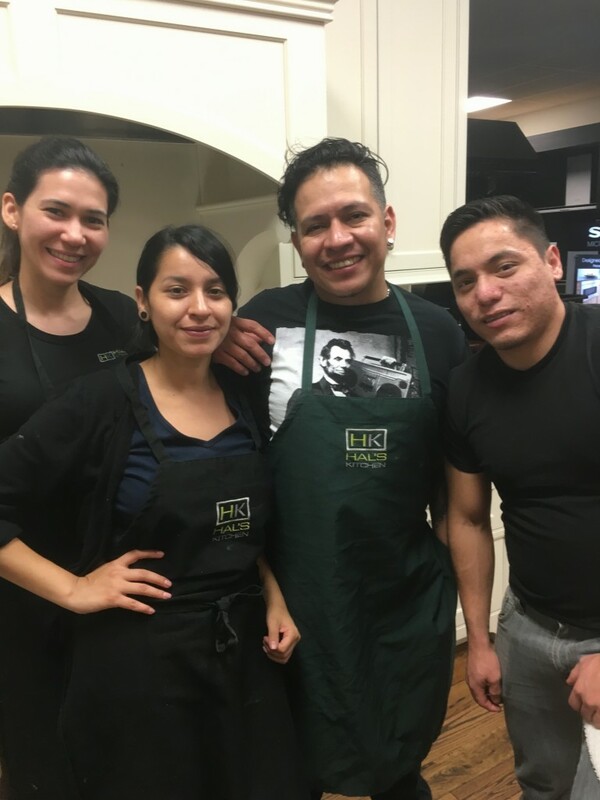 With help from Cyndi, Chef Juan Carlos, the staff and each other (!) guests formed teams that would each create a part of the meal. Each course was paired with a perfect wine accompaniment. The Tarte Flambee with Cashel Blue Cheese and Figs was amazing. 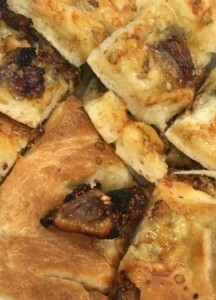 The pastry was flaky, the melted blue cheese added a wonderful foil to the sweet figs. I was curious to taste the Raviolo with Ricotta Cream in Pancetta Brodo. Chef carefully adds the yolk of a quail egg to the pasta. So good! 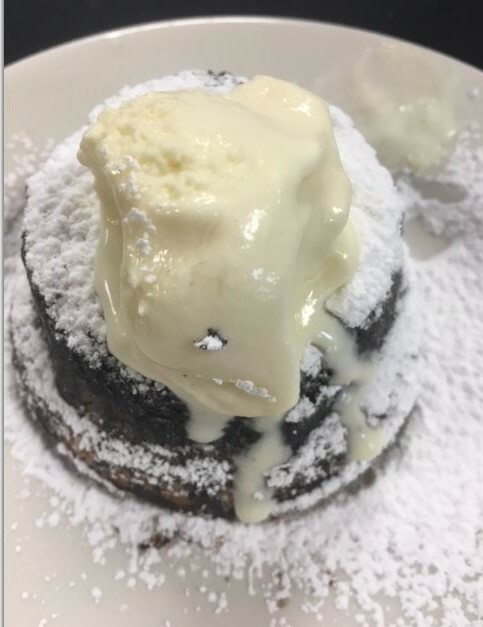 Although all the dishes were tasty my OMG was the Nutella Lava Cakes with Kerrygold Irish Cream Gelato. I wish you could have been there when the Lava Cakes came out of the oven. The chocolate aroma was heavenly. There was a perfect liquid chocolate to cake ratio and the gelato added the over the top touch. Don’t tell anyone, but it was a feat in discipline not to lick the plate clean. Divalicious! One might say that Hal’s Kitchen, named after Cyndi’s dad, is an on-going tribute to a father-daughter Valentine. The class was complementary as part of a blogger influence program affiliated with the Culinary Local. All opinions are those of the author.